Architects often struggle with explaining the relevance of what we study and practice. We can talk about the different modernist movements or the latest applications of 3D printing until the cows come home but no one wants to listen to us unless we make it relevant somehow. As a personal challenge, I’ve decided to discuss a topic that even architects sometimes find irrelevant (though I PROMISE it isn’t). That topic is architectural manifestos. Architects throughout history have sat down and poured their hearts and minds out into thousands of manifestos. Only a few have achieved major recognition but they have all helped shape the world around you. A manifesto can change the world or it may simply help you pick an architect for your next project. […]the number of arcane and incomprehensible documents attempting to pass as design manifestos out there is disturbing. Exposure to an overly theoretical manifesto also requires immediate medication (2 parts bourbon, ½ part sweet vermouth, ½ part dry vermouth, 2 dashes orange bitters, garnish with an orange peel). Manifestos explain why certain architects design a certain way and if you’re looking to hire an architect, it would be wise to search for their “manifesto” or whatever term they use for it (today it might be disguised as a Mission Statement or a blurb about the firm’s design process.) I’ll introduce you to one famous historical manifesto and one example of what a modern-day manifesto might look like to someone looking to work with an architect. No architecture has existed since 1700. A moronic mixture of the most various stylistic elements used to mask the skeletons of modern houses is called modern architecture. We must invent and rebuild the Futurist city like an immense and tumultuous shipyard, agile, mobile and dynamic in every detail; and the Futurist house must be like a gigantic machine. The lifts must no longer be hidden away like tapeworms in the niches of stairwells; the stairwells themselves, rendered useless, must be abolished, and the lifts must scale the lengths of the façades like serpents of steel and glass. 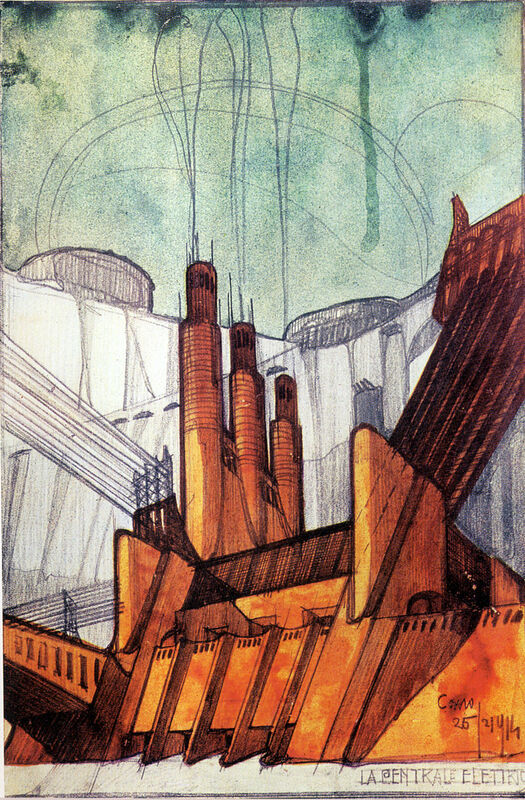 Part of the 1914 series La Città Nuova by Sant’Elia. This is his proposal for a power station. 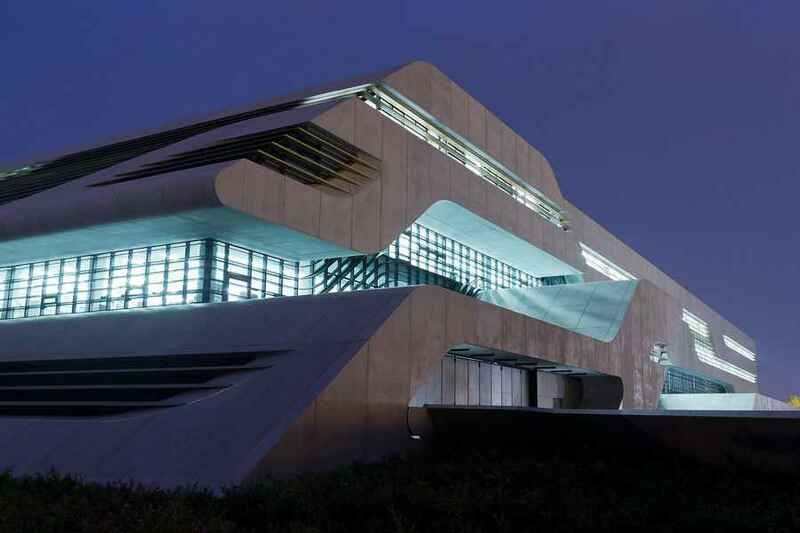 The futurists never built anything in their vision but their influence can be seen today in the works of popular architects such as Frank Gehry, Zaha Hadid, and Daniel Libeskind. Public Architecture’s mission statement/manifesto is also their logo. Their logo itself clearly spells out the aims and goals of the practice but their entire “modern manifesto” is spread out into different categories on their about page. They elaborate their beliefs and intentions in sections titled How We Work, Founder’s Vision, and What We Don’t Believe. If you look at any contemporary architect’s website, you’ll find some form of manifesto and it can reveal everything that makes that firm tick. Although many architects suffer flashbacks to their days in grad school reading hundred-year-old documents, you will probably never have to because manifestos have adapted to the digital age. Now, if you’re ever curious to find out more about a certain architect’s intentions, the underlying motives of an architectural movement, or if you just need help selecting an architect, don’t fear the manifesto!